Residents of Waverley West! 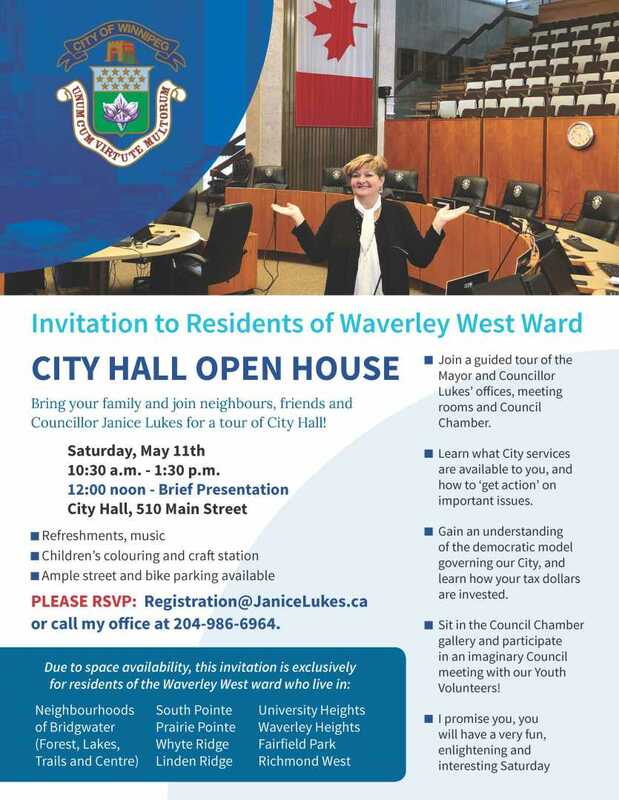 Bring your family and join neighbours, friends and Councillor Janice Lukes for a tour of City Hall! Learn what City services are available to you, and how to ‘get action’ on important issues. Sit in the Council Chamber gallery and participate in an imaginary Council meeting with our Youth Volunteers!